Even if the car is same type, there will be differences in type model and year model. So please take note of the authentic product number. It is old. At the time of exchange of radio eta. The material was not so good. Well, is it worthless if it is this price? This review is about item#27916858. I have replaced it two years ago. The price is cheap and the quality is good and there is no problem at all. This review is about item#27916867. I think that price is cheaper than pure product and performance is firm. There is no problem at the moment. This review is about item#27916885. It is natural, just as genuine products, but it can be used normally and there is no problem at all. This review is about item#27916894. It is an ordinary radiator cap. Since P541A has a valve opening pressure of 1.1, it is used for a motorcycle. I think that I want to repeat because the price is also cheap and domestic. This review is about item#27916876. This review is about item#10225905. I could use it normally. I think that it can be used with confidence because it is made of NGK. 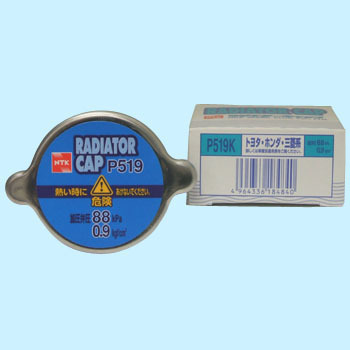 Until now I used a radiator cap from HKT, but it was purchased because the substitute was NTK because it was canceled. I have used things in the past, I think that there is no mistake though there is preference of the seal on the surface. Design is a good feeling. I like it cheaply and I like it. Both cars can be exchanged, it is obviously cheaper than replacing with a car dealer.